The Del Frisco’s brand began more than 20 years ago, with its first location in Dallas, TX. This flagship restaurant, Del Frisco’s Double Eagle, developed into one of the city’s premier steakhouses and remains a standard among high-end dining in a city that’s full of fantastic steak options. Over time, these Double Eagle steakhouses grew to several locations across the country, planting their brand in over a dozen cites nationwide. 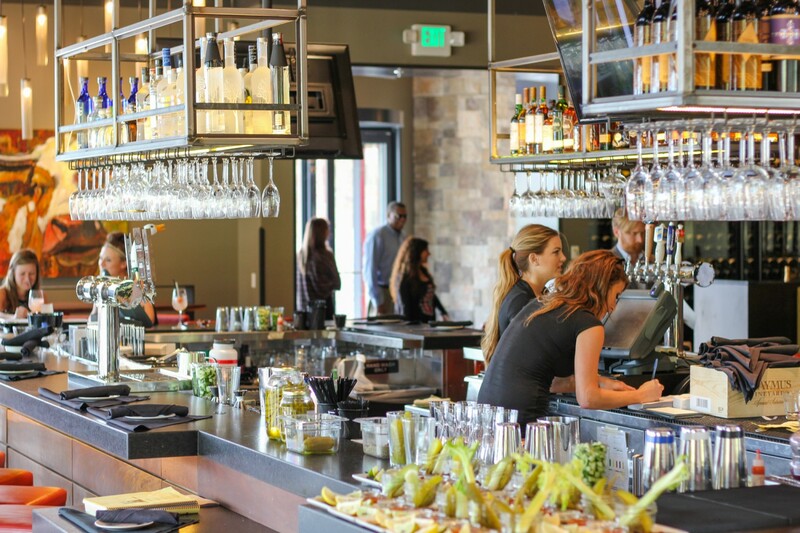 Years after opening their original steakhouse concept, the Del Frisco’s group developed a new line of restaurants, Del Frisco’s Grille. The “grille” was to be a slightly less formal, more-casual dining experience, with a menu that brought fare similar to their high-end steakhouses, but added several items more appropriate for brunch, lunch, or a quick dinner at the bar. Del Frisco’s Grille will open their first Arkansas location this Saturday, September 12th. 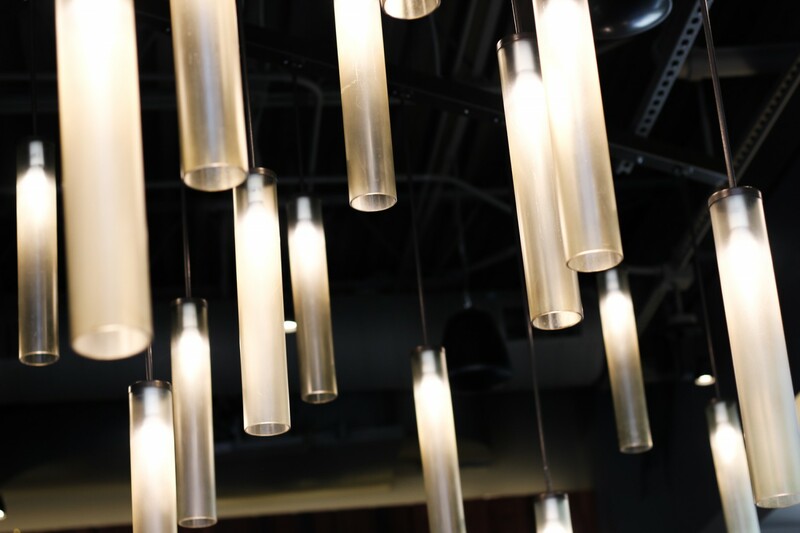 The restaurant is located at the Promenade at Chenal in a new building that’s recently completed construction. We got a chance to scope out what the new restaurant had to offer recently and sampled our way through the menu. I’ve spent some time at their flagship restaurant in Dallas, and always had excellent experiences there, but this would be my first time with Del Frisco’s Grille. 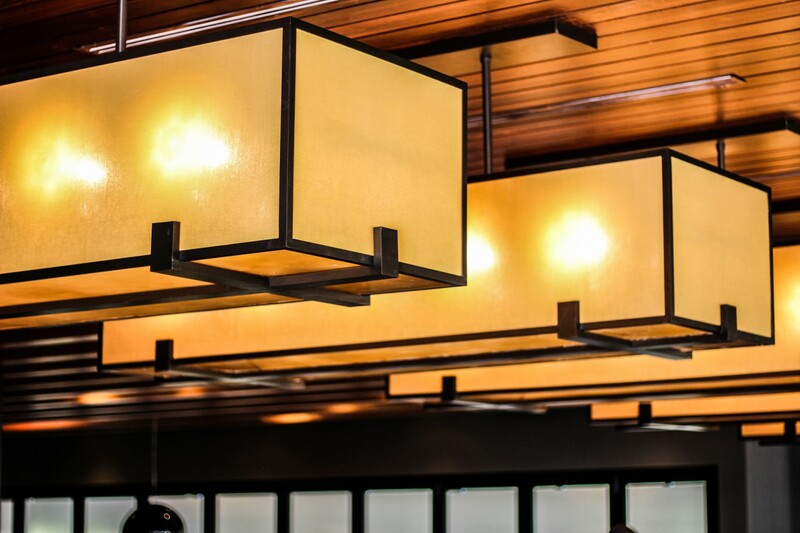 I was happy to see several familiar elements transfer over from their Double Eagle concept, and this new Chenal restaurant certainly provides atmosphere, ambience, and menu options that I imagine will do very well with Little Rock diners. The restaurant is quite spacious (the interior has seating for around 300 people), decorated in dark woods, red and black leather, and huge, ornate, orange-box sky lights. You’ll see a long circular bar at the east end of the restaurant and two walls chock full of bottles of wine. A spacious patio also lines the east end…something that’s sure to get a lot of use in the approaching Fall season. The staff, while still in training, were enthusiastic and knowledgeable. Overall, the restaurant is approachable and comfortable, with a touch of class and elegance. Not the “white table cloth” experience you’d get at the Double Eagle, but a place you’d feel comfortable wearing jeans or a business suit. Onto the food. There are a healthy number of options to choose from, but thankfully, it’s not the novel-sized menu you might find at other popular national brands. From opening day, they’ll be offering lunch and dinner, with brunch on Sunday. The menu is sectioned into daily specials, flatbreads, shared plates and appetizers, salads, signature steaks, seafood, sandwiches, other entrees, and desserts. They’re quite proud of their products and are enthusiastic about its quality. All seafood comes out of Boston from Foley’s Fish. It’s caught, butchered, and shipped that same day. Steaks come from Stock Yards, also out of Chicago, and they’re using only USDA Prime, dry-aged beef. It’s the same cuts you’d be served if you sat down at their Double Eagle steakhouse in Dallas…and that’s a good thing. On the drink menu, diners will find a number of signature cocktails and an extensive wine list with over 200 options to choose from. We sampled a number of the restaurant’s signature dishes. 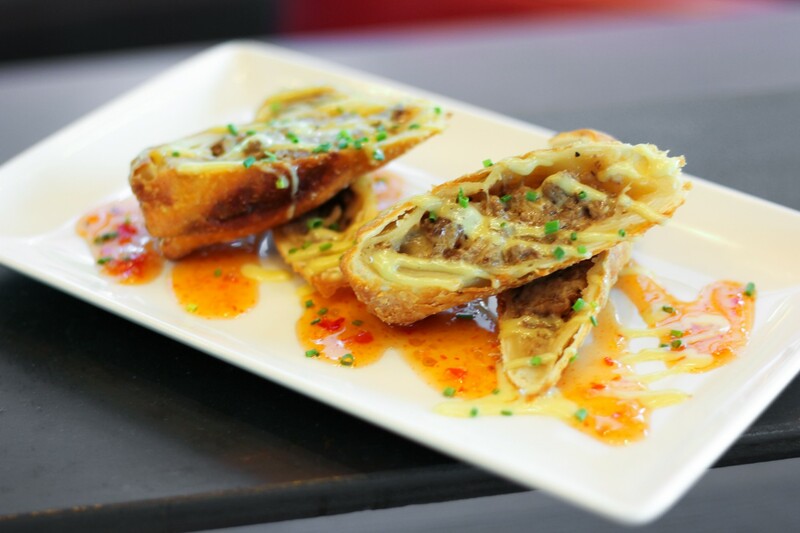 We began with a few shared plates…cheesesteak egg rolls with sliced sirloin and melted cheese, fried inside crispy wonton wrappers and drizzled with spicy chili sauce and honey mustard. 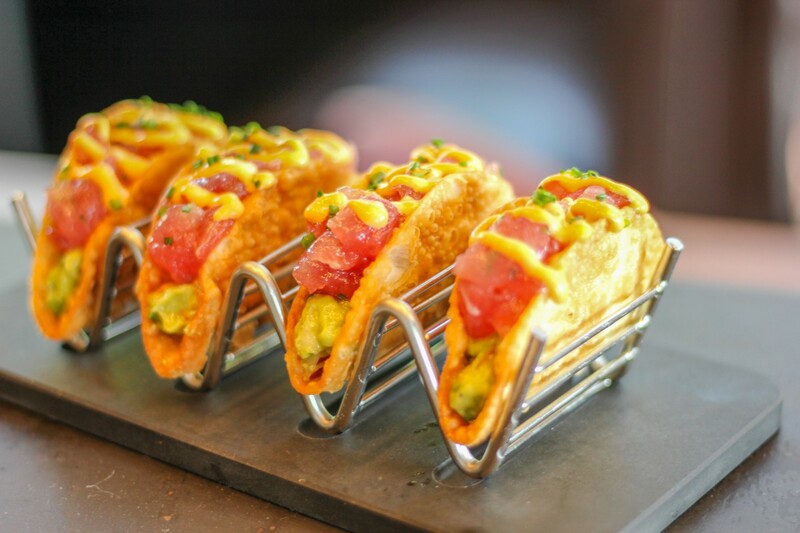 We devoured the ahi tuna tacos, which are sure to be crowd-pleasers…crispy, fried, thick flour shells filled with tuna tartare, avocado, and spicy citrus mayo. 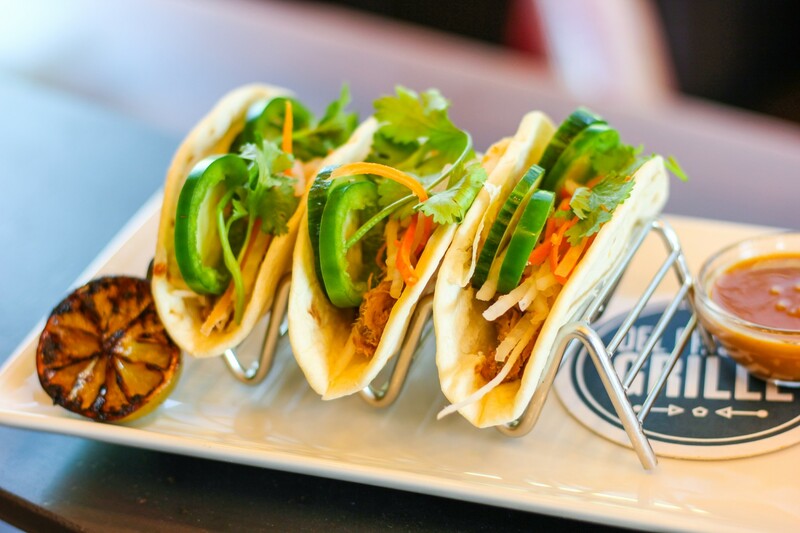 There was banh mi-style street tacos with pork shoulder, cilantro, jalapeño, cucumber, carrot, and cabbage. 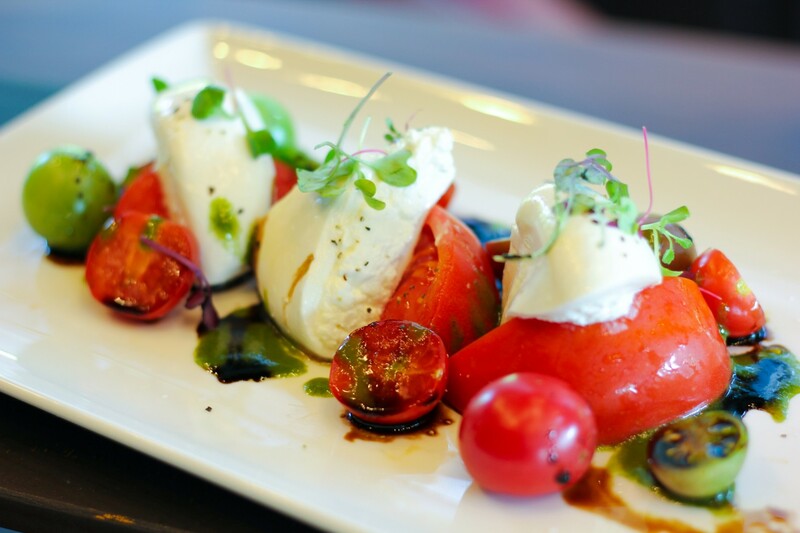 Finally, a wonderful burrata salad with creamy mozzarella and heirloom tomatoes, finished with balsamic and olive oil. 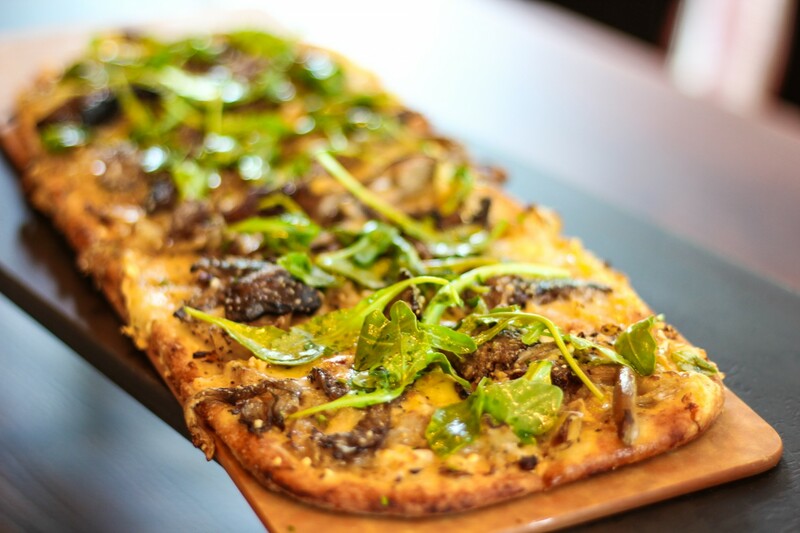 We tasted one of their flatbreads, the “Wild Mushroom” with fontina cheese, caramelized onion, arugula, mushroom, and truffle oil. Next came a sizable double-patty cheeseburger with lettuce, tomato, red onion, pickles, and house sauce. It’s a very respectable burger, one I’d be happy to eat again. Other options from their “Two-Fisted Sandwiches” section include a shaved prime steak sandwich with horseradish and au jus, a green chili cheeseburger, fish tacos, a lamb burger, and veggie burger. 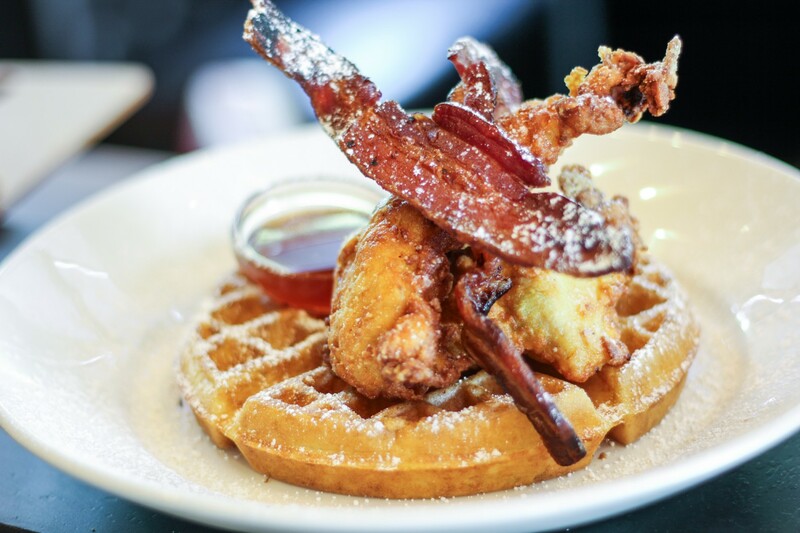 From their list of side items, we scarfed down the small cast iron crock of baked truffle mac and cheese, and we got a peek into their brunch menu with their chicken and waffles with bacon and habenero syrup. Finally, we ended with dessert. 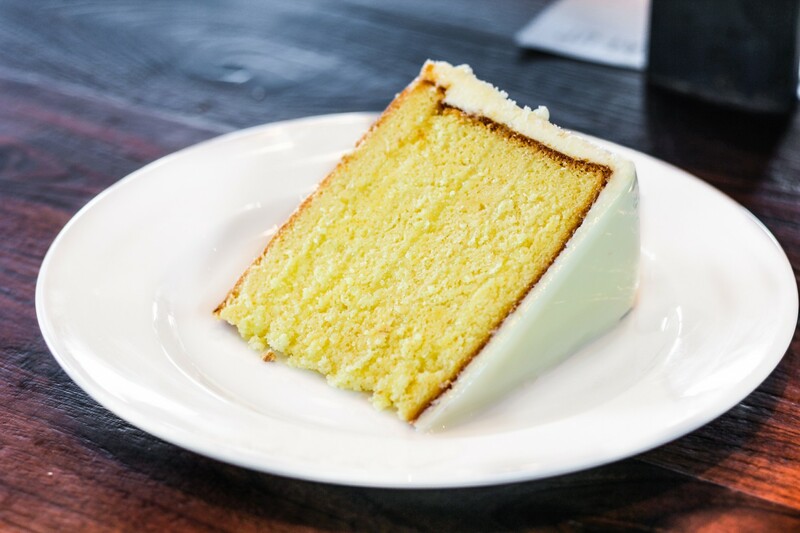 I was pleased to see their signature, six-layer “Lemon Doberge Cake” with lemon buttercream and lemon glaze. We also enjoyed a towering coconut cream pie with two monstrous dollops of vanilla cream and white chocolate shavings. 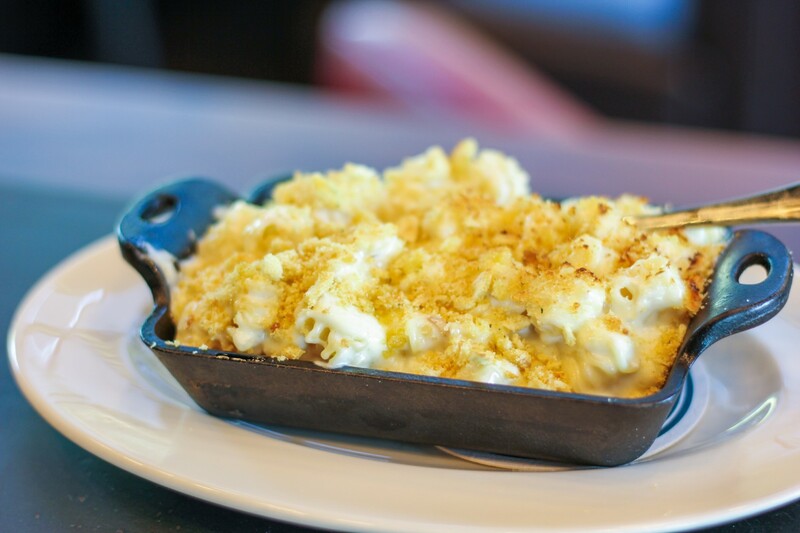 You’ll be able to get your hands on Del Frisco’s food beginning this weekend, Saturday September 12th. They are located at 17707 Chenal Parkway at The Promenade. They’re open 7 days a week, hours: Monday to Saturday 11 am to 11 pm. Sunday brunch and dinner, 11 am to 10 pm.